We’ve caught Gerald Matschl on the hop. 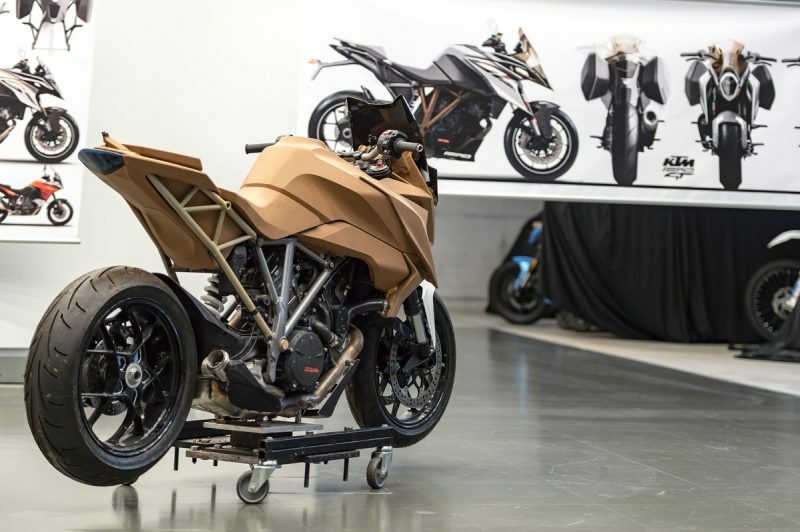 The Vice President of R&D Street and overseer of the hefty boom of street motorcycles in the KTM catalog is looking a little stumped. 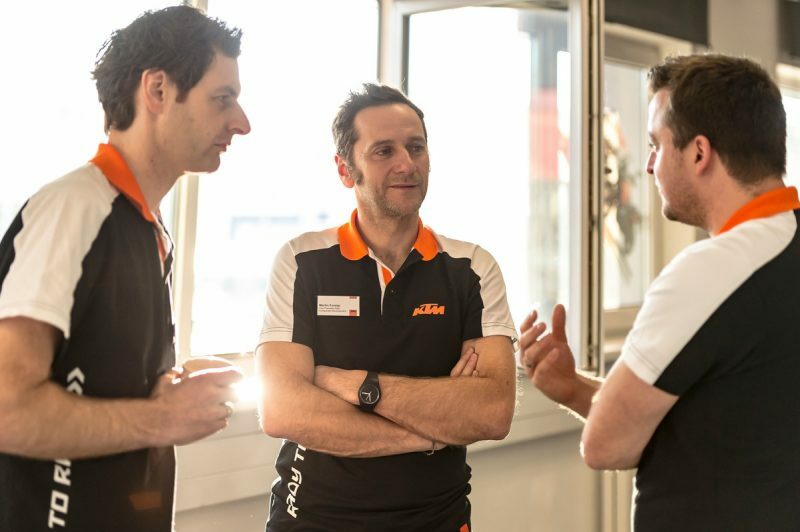 We’ve just told him we have a fantastic concept for a new bike: how would it pass through the system at the factory? On a daily basis in his job Matschl has to analyze, evaluate, reject or develop his technical team´s ideas, notions, beliefs and convictions … however we doubt whether he’s had to talk through the process to someone who isn’t wearing an orange shirt before. So if I swap my keyboard for a pencil or CAD program then how would I go about getting an audience in R&D for my bike ‘brainwave’ and possibly – one day – see it part of the assembly lines on the factory floor below us? Phew. Our chassis modification/bodywork touch/engine component has survived the first hurdles and even the genius touch of the designers at the Kiska agency. Are we set?! Not quite. Inspiration and research followed by persistence and perseverance seem to be essential qualities as part of a team to make motorcycles. Hopefully a ride on a finished bike would then be the order of the day before a coffee and then more analysis and thought about how the next version could be better: such is the life of an engineer. 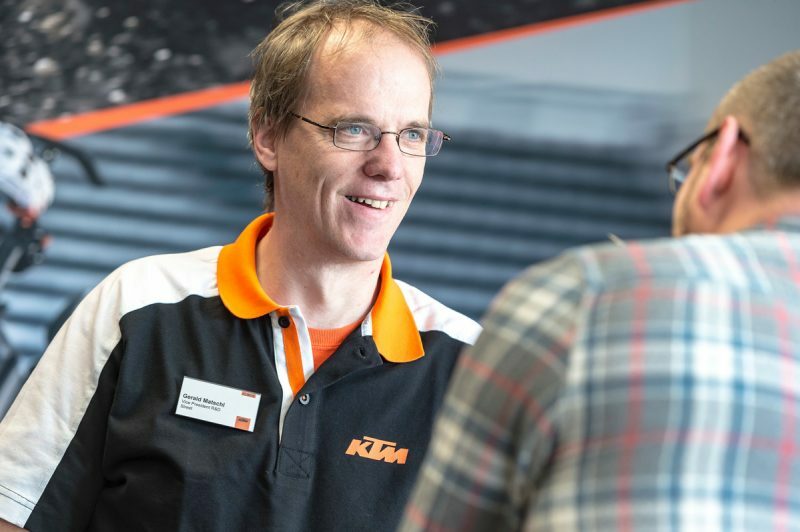 I’m a brand ambassador for KTM in South Africa and have sold over 40 motorcycles through referrals. I have owned and raced over 15 ktms myself and been an itergral part of your family. I also have 42 years of riding experience competing for 24 years of them so I can say that I am a huge fan of your product. I have also been to your factory to see the home of your beautiful product. I find that in our country there is a huge gap in the market for a cross between a dual sport 1bike like the 690 and the adventure bikes. I also understand that this is a global market that you are catering for to ensure the sales. We modify bikes to try and get close however a factory machine will always be the best. I congratulate you on your achievements and look forward to part of the ktm family for years to come. Can we have a updated Duke 690 R , with 80 bhp and the same look as the 2017 duke 390 , please !!!! !